WASHINGTON — The end to perhaps the strangest, most vicious election season in American history is less than a week away. But for Texas House Republicans, the drama is only getting started. Congress is set to return to the Capitol later this month for a "lame duck" session that will include some tough decisions. The most prominent may well be the expected vote on re-electing Paul Ryan as Speaker of the House. Currently at 25 members, Texas is the largest and most pivotal GOP delegation in the House and wields that power mightily in leadership races. Securing that voting bloc is a basic step for anyone running for House leadership. 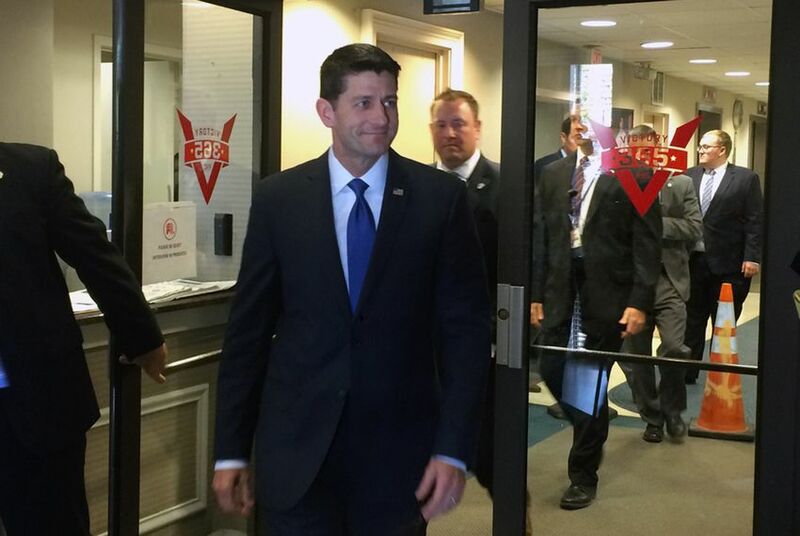 Ryan is a well-liked figure among most of the Texans in the delegation. He's made frequent fundraising stops to the state and raised tens of millions of Texas dollars to support vulnerable incumbents around the country. Over the past year, Texas members flocked to headline those events with their speaker. But the past few months have made Ryan perhaps the most divisive House member among grassroots Republicans across the country, as he's sparred publicly with Trump. The relationship reached its boiling point in early October upon the release of video of Trump boasting about groping women. Ryan announced soon after he would not campaign with Trump, and Trump responded with a flurry of insults on Twitter. “The level of chaos — and there will be chaos — is going to depend in part on what happens in the election,” said Norm Ornstein, a congressional expert with the conservative-leaning American Enterprise Institute. House Republicans are expected to hold control of their chamber, but the challenge in governing is that the incumbents most likely to lose re-election on Tuesday are the more moderate members who were likelier to play ball with leadership. "They’re going to come back with a thinner majority than they used to have, so it’s going to be tougher," said Texas-based GOP ad maker Vinny Minchillo. Ornstein, the Congressional expert, pointed to a pressure point in the Texas delegation: There may be a number of House leaders within the group but as a whole, it is more conservative than Ryan, which could make members more open to listening to far-right factions like the Freedom Caucus than their own chamber's leadership. “The Texas delegation, on balance, in itself is to the right of Ryan, and one of the people [the Freedom Caucus] are pushing — which is just amazing — is [Texas Rep.] Louie Gohmert,” Ornstein said. Fox News host Sean Hannity also recently suggested that Gohmert challenge Ryan for the gavel, but a Gohmert spokeswoman told The Washington Examiner that the Tyler Republican "had no knowledge of any plans to run for speaker." Two other Texans are frequently mentioned in news reports and around Capitol Hill as possible successors to Ryan, but not as challengers. U.S. Rep. Mike Conaway, a Midland Republican who chairs the House Agriculture Committee, briefly ran for speaker in 2015 on the condition that Ryan did not run. Once the Wisconsin Republican threw his hat in the ring, Conaway pulled back. U.S. Rep. Jeb Hensarling, R-Dallas, is another member who is almost always floated as a future speaker, but it is worth noting that he is one of Ryan's closest friends in the House. All of this will come to the fore a week after the November elections, when the first round of GOP leadership elections typically take place. But this year, the most conservative band of Republicans, known as “the Freedom Caucus,” aim to delay elections until later in the year to pressure leadership to toe the line with them on budget issues. The tougher vote will come in early January, when the threshold to be speaker is higher. Instead of a majority of Republicans, a speaker needs a majority of the entire Congress – 218 members. In effect, a small minority of Republicans can derail the party’s nominee for speaker in a public vote on the House floor. That is where the pressure of the clash between Trump and Ryan could hit each Texas Republican. In Texas, many conservative voters have embraced Trump and his aggressive tone. And among those same voters, Democratic nominee Hillary Clinton is passionately reviled — raising fears that if she is elected president, Ryan and Republicans who were not viewed as sufficiently supportive enough of Trump during the campaign could shoulder a backlash from their base in the 2018 primaries. For many Texans, there is little to gain from rocking the boat. This is a senior delegation, and most members have a great deal of power to lose amid a turnover. Seven Texans serve as House chairmen, and nearly all of the rest of the Republicans chair powerful subcommittees or hold coveted seats on the House Appropriations Committee. Members could change the rules on selecting chairmen, but traditionally the speaker has a heavy hand in choosing who fills those posts. And so the decisions members make from now until January could well impact their influence in Congress as well as their re-election chances in a primary. But it also may not be as bad as some expect. Some operatives watching the national House races see many of their incumbents’ races stabilizing and glimmers of hope that the losses may be minimal. The recent letter from FBI Director James Comey to Congress that reopened the conversation around Clinton’s email usage as secretary of state has energized Trump backers, potentially mitigating what appeared to be increasing Democratic momentum in the final stretch of the campaign. And Minchillo, the ad maker, predicts Trump’s influence on the GOP will wane. “This will not be his party, win or lose,” he said. Sources tell the Tribune that former Gov. Rick Perry encouraged U.S. Rep. Michael McCaul to run against U.S. Sen. Ted Cruz in the 2018 GOP primary. Campaigns and super PACs are spending over $12 million on Texas' only competitive U.S. House race. A Texas Congressman echoed Donald Trump, saying Hillary Clinton "has done some nasty things."